Prime Minister Imran Khan is expected to chair a federal cabinet meeting today (November 1) where an eight-point agenda will be discussed. The cabinet will be discussed internal issues within the country and the economic situation. The members of the cabinet will also be briefed on the prime minister’s upcoming visit to China. He is expected to leave today and will return on November 5. 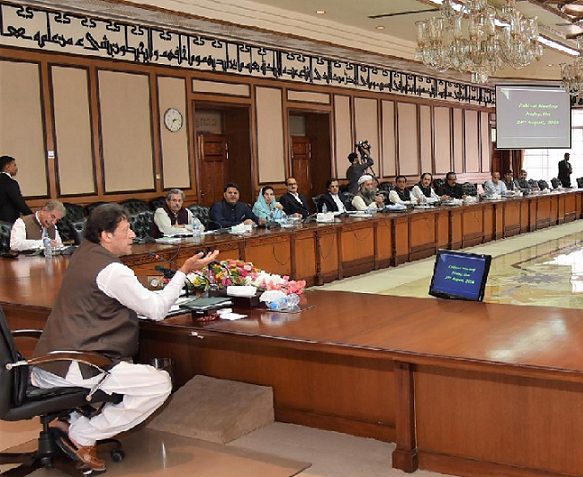 The cabinet is expected to approve the formation of a new board for the Pakistan Broadcasting Corporation as well as the appointment of a new chairperson for the eighth Wage Board.